Vetericyn Ophthalmic Gel (3 ounce) relieves the itching, burning and stinging from your horse's eyes. Kills bacteria, viruses and fungi to remove the inflammation and infection. Non-toxic and non-stinging, it is very safe to use in and around the eye, Do not freeze this item. 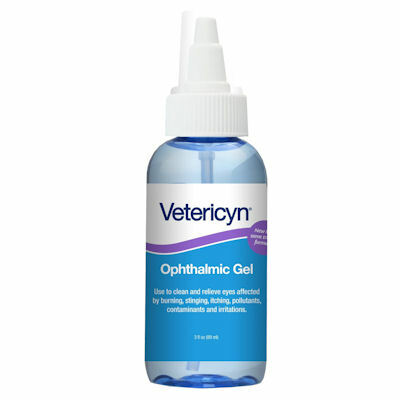 Relieve the itching, burning and stinging from your pet's eyes with Vetericyn Ophthalmic Gel. Specially formulated for irritated eyes, it removes the inflammation and infection from your pet's eyes, killing bacteria, viruses and fungi. It is non-stinging and safe to use in and around the eye. It is non-toxic and biocompatible, the easy-to-apply gel has no steroids, antibiotics or alcohol, so it is safe if licked or ingested.